The Jeep Cherokee is a legend in the realm of compact SUVs. With a bold exterior, sturdy build, and modern, timeless aesthetic, it transitions seamlessly from rugged terrain to smooth highway cruising. Warrenton, Airlie, and New Baltimore drivers who enjoy the occasional off-road adventure but also desire a vehicle they can count on for reliability on the daily commute in a comfortable, feature-loaded cabin will be thrilled with what the Cherokee has to offer! If you’re ready to see for yourself exactly how the Jeep Cherokee can meet all of your needs, it’s time to contact the experts at Safford of Warrenton. We’ll answer any questions you may have and then put you behind the wheel of a Cherokee for an unforgettable test drive. Stop by our dealership at 7308 Cedar Run Drive in Warrenton, and let us help you find the vehicle of your dreams. What Will You Find in the 2018 Jeep Cherokee? This year’s Jeep Cherokee takes what drivers loved in the 2017 model and improves upon those features. The six available models for 2018 are the baseline Latitude, the Latitude with Tech Connect Package, the Latitude Plus, the Limited, the Trailhawk, and the Overland. Impressive standard features in the 2018 Jeep Cherokee’s base model include 17-inch wheels, roof rails, a back-up camera, and high-intensity discharge (HID) headlights. With a standard 4-cylinder engine or an available V6, all 2018 Cherokee models offer a 9-speed automatic transmission and your choice of front-wheel drive or off-road-ready all-wheel drive. Drivers are in for a pleasant surprise when they slide into the cabin of this capable, smartly designed SUV. Its feature-loaded interior includes luxurious touches like premium cloth seating in the standard model (upgraded throughout the trim levels to heated, ventilated leather seats in the top-of-the-line Overland model) and a 5-inch touchscreen with AM/FM radio, Bluetooth streaming audio, and voice command technology. If it’s high-tech features and connectivity you’re after, look to the higher trims, where available features include a navigation system, SiriusXM Satellite Radio, keyless entry, upgraded audio systems, a blind-spot monitoring system, and plenty more to make driving your Cherokee more pleasant, convenient, and safe. No matter which model you choose or which features are included on your list of must-haves, you’re sure to be won over by everything the Jeep Cherokee has to offer. Let us show you just what each model can do when you visit us at Safford of Warrenton! The Jeep Cherokee has evolved over the years since its introduction, improving at every turn. Beginning life in 1984 as a rough-and-tough utilitarian vehicle more akin to a truck than what we’ve come to know as an SUV, the first-generation Jeep Cherokee was available in both two- and four-door models. Built on a short wheelbase and weighing in at around 3,100 pounds, it was touted as being more responsive and maneuverable than other SUVs on the road at the time. The succeeding years have brought relatively minor changes to the lineup in the form of trim levels, engine options, the range and quality of comfort features inside, and the addition of FWD models for drivers who don’t need the capability of all-wheel drive. The sleek and refined exterior and remarkable performance still present on today’s Cherokee models make Jeep’s iconic SUV an ever-popular choice among drivers all across Virginia. Find New and Used Jeep Cherokees at Safford of Warrenton! If you’ve done your research and determined that you’re ready to experience the Jeep Cherokee firsthand, we’re here to make the car-shopping experience easier than ever! First, browse our inventory and find a Cherokee model that’s just begging to be driven home, and then get in touch with us to schedule a test drive. You’ll find that we have a broad selection of new and used Jeep models that might be just what you’re looking for. We even have handy shopping tools, such as the CarFinder form, that can simplify the process for you even further. Whether new or new-to-you, our impressive inventory of Jeep models is here waiting for area drivers from Waterloo to Auburn to explore at our conveniently located dealership at 7308 Cedar Run Drive in Warrenton. 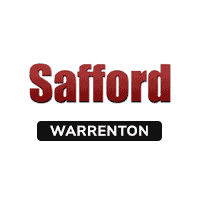 Safford of Warrenton is committed to offering you the best service possible and helping you find the ideal car to suit your needs and wants-all at a price that will leave you smiling. We look forward to meeting you and putting you behind the wheel!